kea launches furniture with charging points for mobile devices. 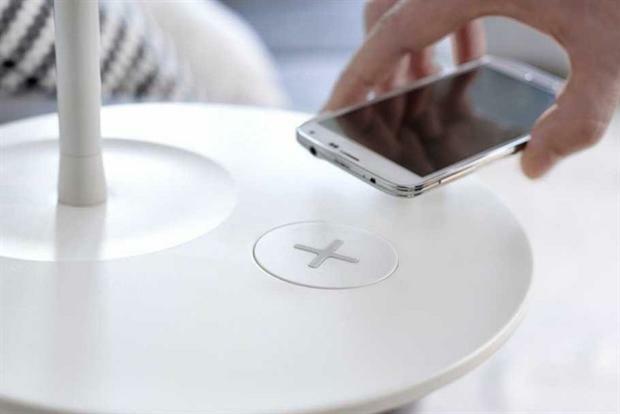 BARCELONA — Ikea has used Mobile World Congress to unveil a range of items fitted with wireless charging stations for mobile gadgets. The range, which will be launched in Europe and North America in April, will include lamps, bedside tables, tables and standalone charging pads. All will obviously require their own power. The wireless charging technology featured is the Qi standard from the Wireless Power Consortium, which is supported by 81 smartphone models including the new Samsung S6, according to Mashable.